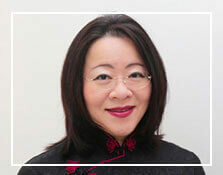 Dr Ong is a fully accredited female Plastic Surgeon. She currently practices at WC Ong Plastic Reconstructive Surgery at Gleneagles Medical Centre, serving patients in all Parkway hospitals, Mount Alvernia and Farrer Park s Hospital. She brings with her more than 20 years of surgical experience having served as Senior Consultant plastic surgeon at the National University Hospital just before she left for private practice.